Leslie Gigliotti was elected President of IFAFA in 2014. Prior to that, she served as a member of the Board of Directors since 2008. 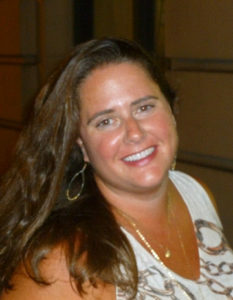 Leslie has been an active member of IFAFA since she attended her first conference in Philadelphia in 2003. She is a graduate of George Washington University and holds a B.A. in International Affairs. Leslie is currently employed as an analyst at an international software firm. She resides in Washington DC and can often be found at many of the diverse events her vibrant city offers. Joyce has been an active member of Vivaci of Philadelphia since 2006 and a member of IFAFA since that time. Joyce has been dancing for many years, but only started learning Italian Folk traditions in 2006. Her grandparents were all born in Abruzzo and Puglia, and, although raised with the morés of these cultures, Joyce did not learn to speak Italian nor learn the folk songs or dances until her exposure to Vivaci and then IFAFA. Joyce has dual citizenship in Italy and the USA and owns a home in Abruzzo, Italy, where she enjoys participating in community folk singing and dancing when possible. It is evident that these traditions are struggling to survive in Italy, and so she feels that the work of IFAFA is critical in preserving these traditions. Joyce also enjoys rehabbing old houses, gardening, bicycling, travel (especially Latin America and Italy) and helping people learn about their Italian roots and the region of Abruzzo. 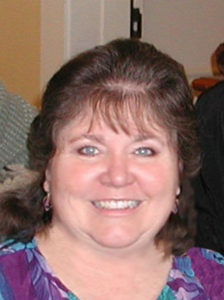 Joyce recently retired from her job as Community Development Director for Maryland Rural Development in Annapolis, MD. She has a BA from Rutgers University in Foreign Language and a Master’s in Community Planning from University of Maryland. She has been very active for 32 years in her community of Easton, MD, where she co-founded an award-winning neighborhood organization, established community gardens (also in Boston, MA), sang with the Easton Choral Arts Society for 30 years, and served on the Easton Historic District Commission. Joyce has many organizational skills and hopes to assist IFAFA to stay strong, keep to its mission and increase the number of people who take advantage of IFAFA and local affiliations in order to expand their knowledge of and participation in genuine Italian folk culture. She especially hopes to assist with connecting folk groups in Italy with IFAFA and has been co-manager of the IFAFA Facebook page since 2015. Jackie Capurro is one of the founding members of Il Quartiere Italiano (the Italian Neighborhood) folk dance troupe, founded in 1972 in the San Francisco Bay Area, California, and served as Dance Instructor, Secretary, President, and Artistic Director of that organization during its performance years from 1972 until 2002. Il Quartiere Italiano was founded at California State University, Hayward, where Jackie earned two BA degrees: in Italian Language and Culture and in Spanish with a Portuguese Minor. She has been a member of IFAFA since 1987, serving on the Board of Directors since 1993, as Editor of the IFAFA Newsletter Tradizioni since 1994, as co-manager of the IFAFA website since 1997, and co-manager of the IFAFA Facebook page since 2015. She has led dance workshops and special-interest sessions in nearly every IFAFA conference since 1995, and she oversaw the hosting of the IFAFA Conference in San Francisco in 2002. 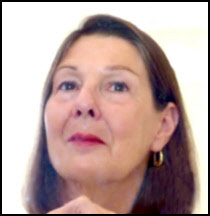 Jackie has researched Italian folklore in correspondence with active Italian folk troupes throughout Italy, and she and her family have traveled many times in Europe, including lengthy stays in Italy, occasionally meeting with Italian folk troupes. Aside from her interest in Italian folklore, culture, and language, Jackie pursues interests in additional language study (French, Spanish, and Portuguese), quilting, Photoshop, and travel. She and her husband Joe also thoroughly enjoy spending time with their grandchildren, Claire and Elliott.